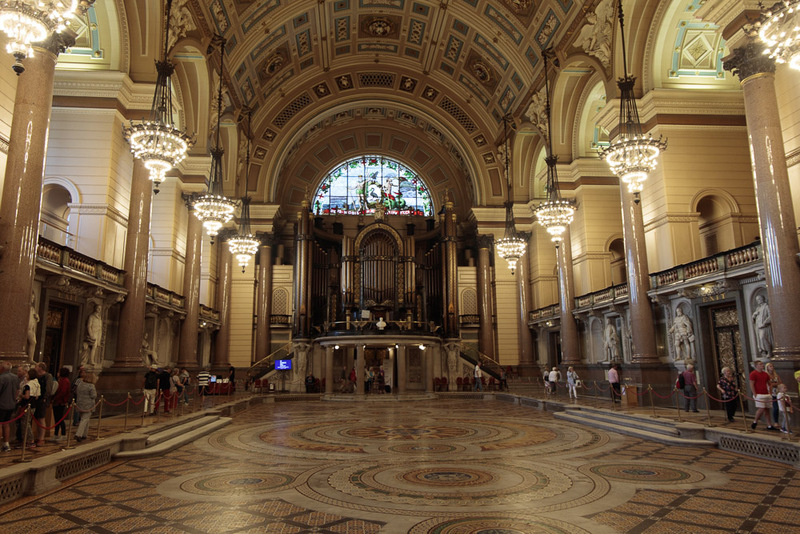 St George’s Hall in Liverpool is a familiar building. In the years I worked in the city, the hospital Christmas Ball was held there annually until austerity measures kicked in. 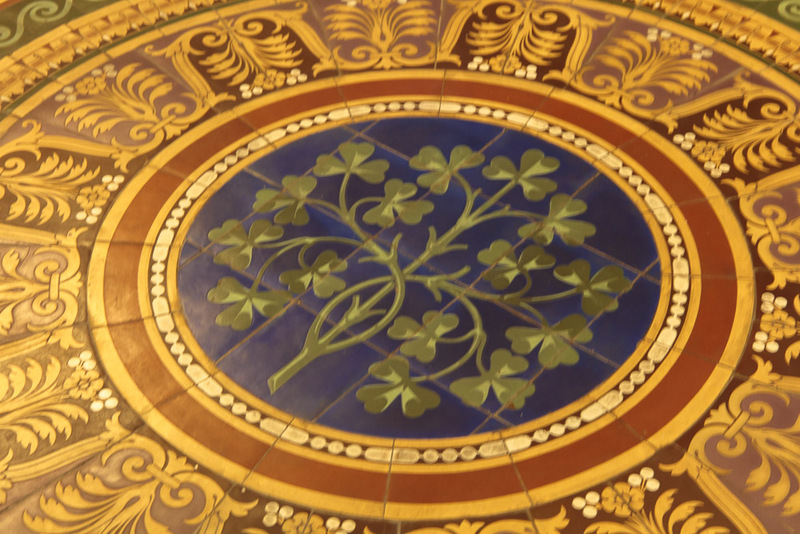 One of my colleagues told me that her grandfather had been one of the workers restoring the Minton tiled floor before the Hall was re-opened in 2007. 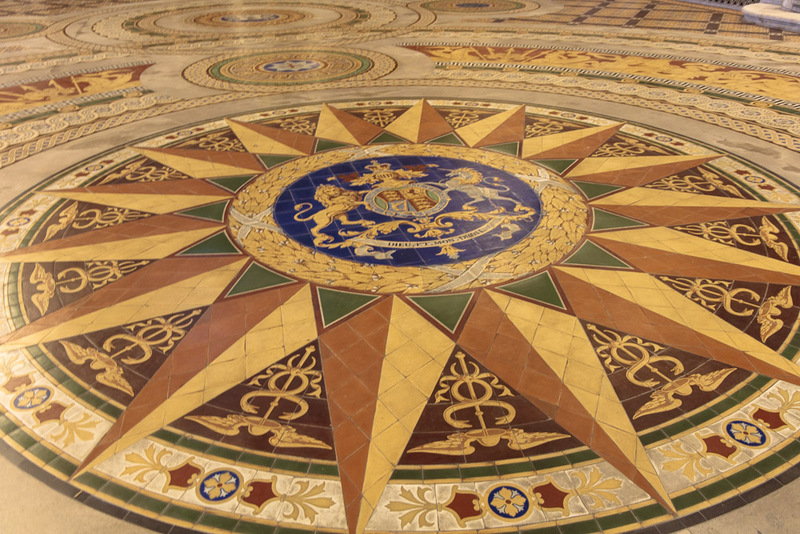 The floor is covered when functions are held but once a year, it is uncovered and can be viewed. For £3 you can go in and look from the sides but for £12 a guided tour allows you onto the floor (with covered shoes) and explains a lot of the history and the significance of the decorations in the concert hall. It has now finished for this year. We were told that in the early 19th century, musical events and festivals needed a venue. Many had previously been held in churches but some of the music was deemed too secular and other accommodation was required. 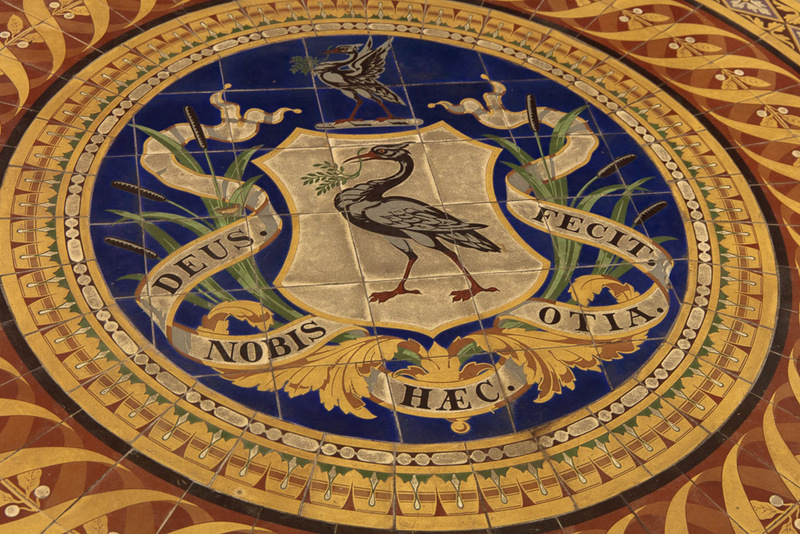 A company was formed to raise the money and the foundation stones were laid on the site which from 1749-1824 had been the Liverpool Infirmary in 1938 to commemorate the coronation of Queen Victoria. The Irish famine in the mid 19th century led to many more people arriving in Liverpool and the increased population led to the courts becoming overwhelmed. 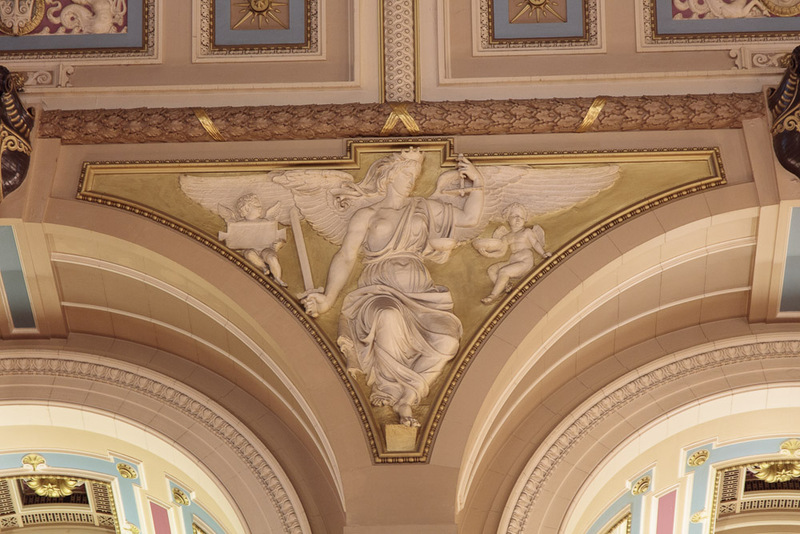 An additional court was needed and after a 25-year-old London architect, Harvey Lonsdale Elmes, won the competition to design both a concert hall and court, the decision was made to combine both facilities in one building. He died before the work was completed and John Weightman, Corporation Surveyor, and Robert Rawlinson, structural engineer continued it, until in 1851 Sir Charles Cockerell was appointed architect. He was largely responsible for the decoration of the interiors. Our tour started in the Heritage Centre. We were led upstairs to the part of the building containing the court complex. 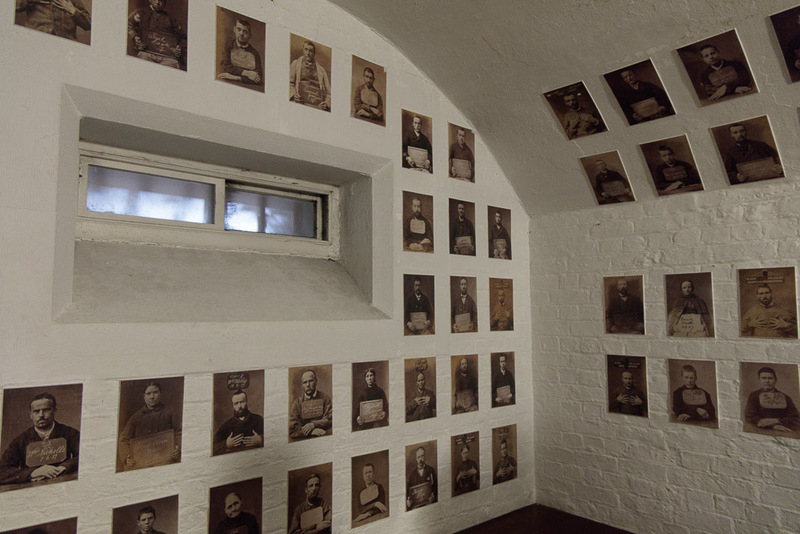 The first cell we were taken into was lined with photographs of some of the prisoners. It could hold 50 people with one bucket for toilet facilities. We could not see much of the court room as it was set up for a video presentation for the Liverpool Biennial. 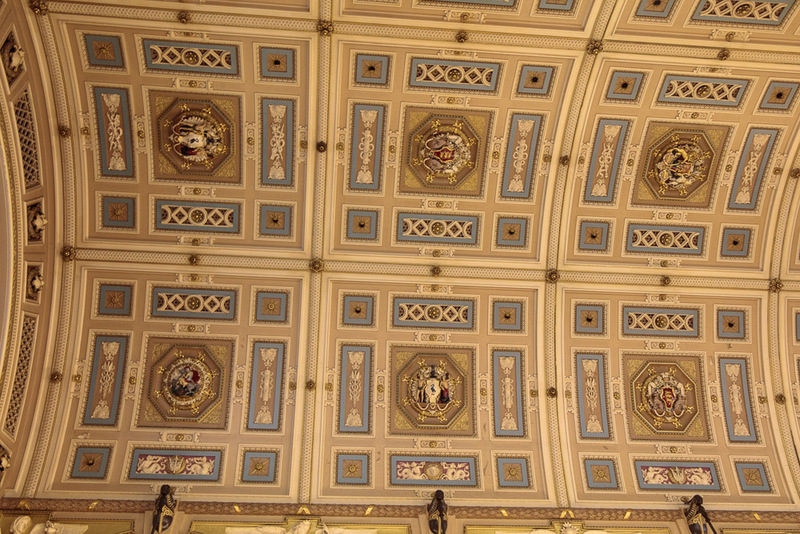 Apparently, it has been used as the Old Bailey in courtroom dramas. 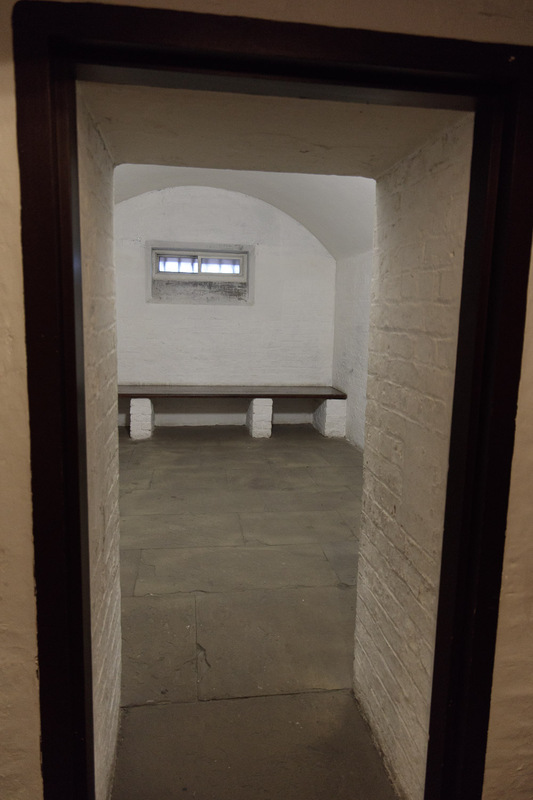 We were told that this was the first court which had a holding cell on the floor underneath the court room. This was the origin of the phrase ‘you’re going down’. 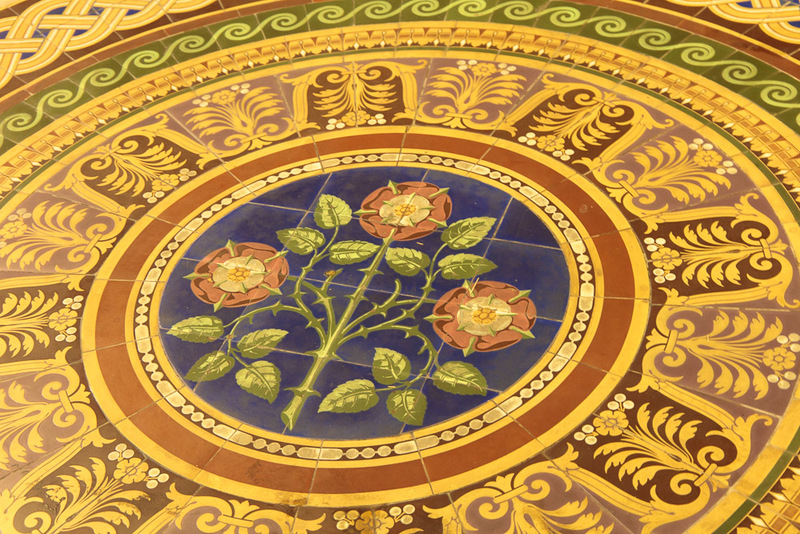 It was then time to enter the concert hall and be introduced to the features in the floor. 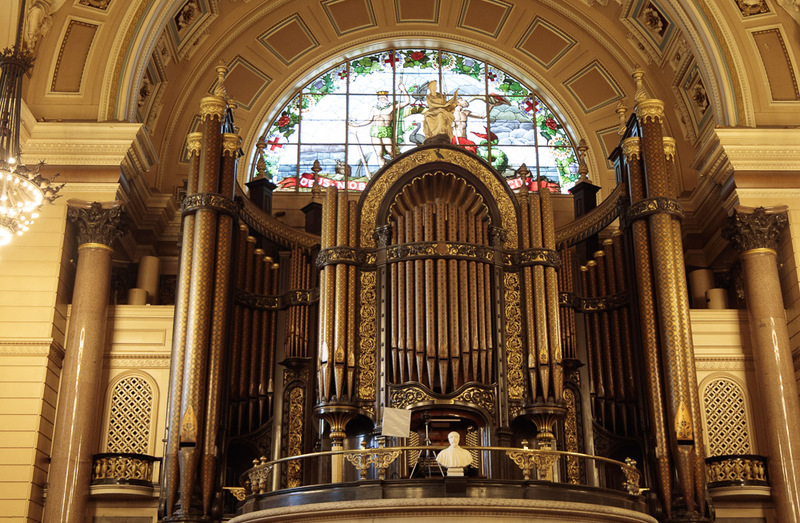 The organ was for a time, the biggest in the country but has now slipped to number three behind Liverpool Anglican Cathedral and the Albert Hall. St George’s Plateau is the space between the Hall and Lime Street Station which has been used for many public gatherings. More recently Tommy Robinson, one of the Far-Right activists, claimed they had had thousands of people at a protest in London. The photograph supplied, when examined closely, was not in London but was St George’s Plateau 13 years previously with people at a home-coming for Liverpool FC after a Champions League Victory. 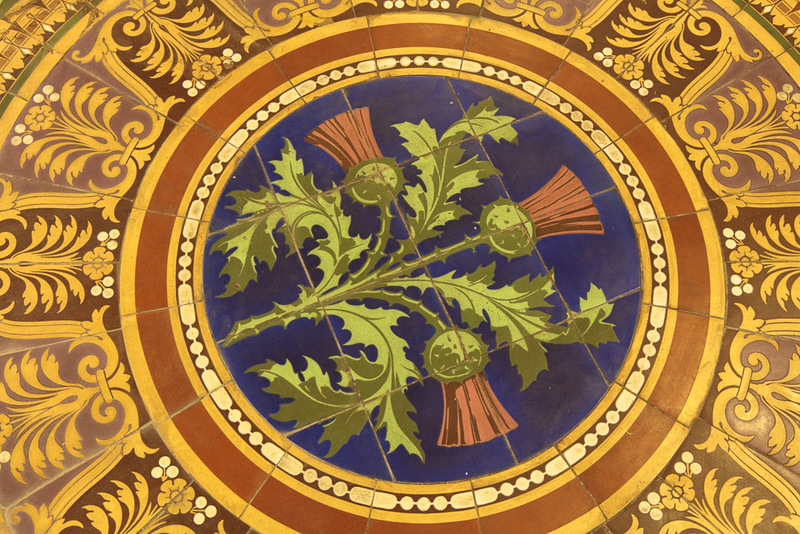 Our guide explained the various emblems in the floor which represent Scotland, Ireland and England. Wales was not represented as it was a Principality, not a country at the time. Liverpool is of course represented. Statues line the walls, mainly of men but some notable women are now being added. The architect had to design the roof and figured out a way of making holes in the bricks so that the structure was light enough to stay up. In between the windows are statues of the virtues. He also had to design the heating and ventilations system. With the tour finished we spent a little time doing some shopping, having a leisurely coffee and lunch before heading home again.